Galaxy Alpha is the first smartphone from Samsung has a metal frame that contrasts with the plastic of the traditional range Galaxy. Running Android 4.4.4, Samsung Galaxy Alpha equipped with Exynos processor 5 consists of eight cores ARM Cortex-A15 four cores clocked at 1.8 GHz and a quad-core Cortex-A7 clocked at 1.3 GHz. Its screen measures 4.7 inches and displays a resolution of 1280 x 720 pixels. Galaxy Alpha is equipped with a rear camera of 12 megapixel and a front camera of 2.1 megapixels. It has 2GB of RAM and 32GB of storage, but it has no microSD card slot. LTE connection provides download speeds of up to 300 Mbps. The small screen size and low resolution is somewhat surprising in view of the high-end Galaxy Alpha specifications. UK retailer Clove proposed for pre-order for $ 850 including taxes, which gives a good indication of its price. 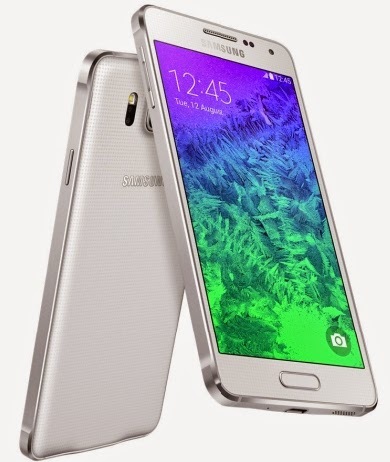 Galaxy Alpha will start to be delivered in early September.